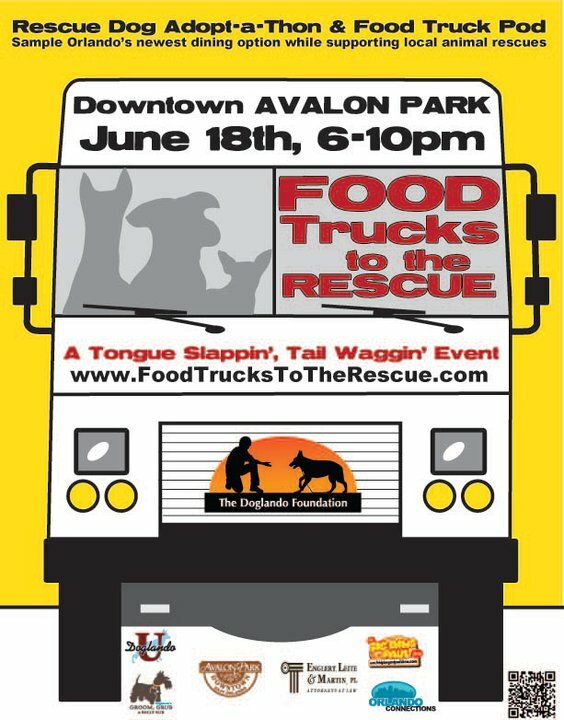 ORLANDO, FL – June 8, 2011: The Doglando Foundation, Inc. will be hosting an animal rescue adopt-a-thon and food truck pod event on June 18, 2011 from 6:00pm-10:00pm in downtown Avalon Park. 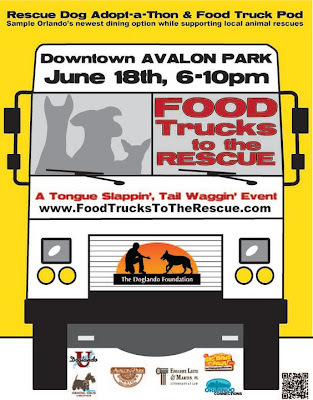 Food Trucks to the Rescue will be an exciting event featuring local animal rescues along with local food trucks promoting animal welfare and good eats. The Bigdawg and Paul Show will be on hand to provide family friendly entertainment throughout the evening. By bringing these two popular groups together, Doglando Foundation, Inc. hopes to raise awareness of the local animal rescue groups. Dogs and puppies will be available for adoption during this event.. This event is free and is open to the general public. 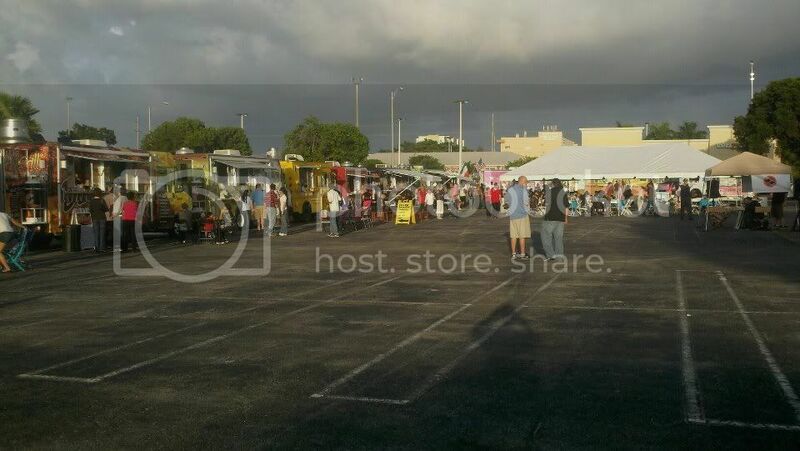 Sponsors include Englert, Leite & Martin; PL, Avalon Park, University of Doglando, Groom Grub & Belly Rub, Bigdawg & Paul Show and Orlando Connections. The Doglando Foundation Inc. is a non-profit 501(c3) (status applied for) educational organization that promotes responsible canine ownership locally and within our community by creating programs that will improve the welfare and well-being of dogs. Our programs include puppy enrichment programs for rescue / rehab / training / adoption, youth educational programs, dog assisted therapeutic programs, shelter / rescue volunteer and staff training programs.